Supportive comfort in a transitional lounge chair with elegant lines and accents. 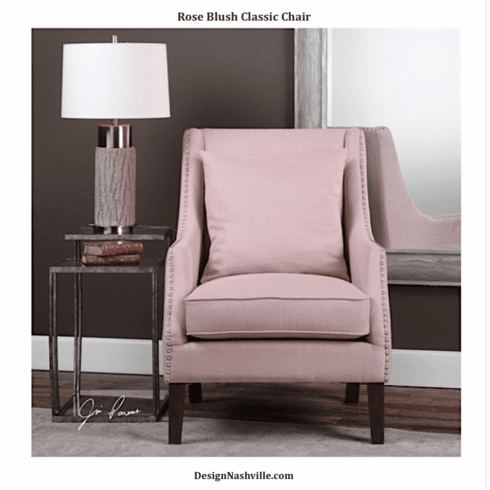 Nickel nail heads pop on this trending blush color cotton blend fabric making it an instant classic along with the dark hickory tapered legs. Seat height is 18.5"
Fabrics for custom draperies and bedding along with transitional rugs in this color scheme are shown below.